Acoustic Drum Loops Pack for 30% Off in July 2017! 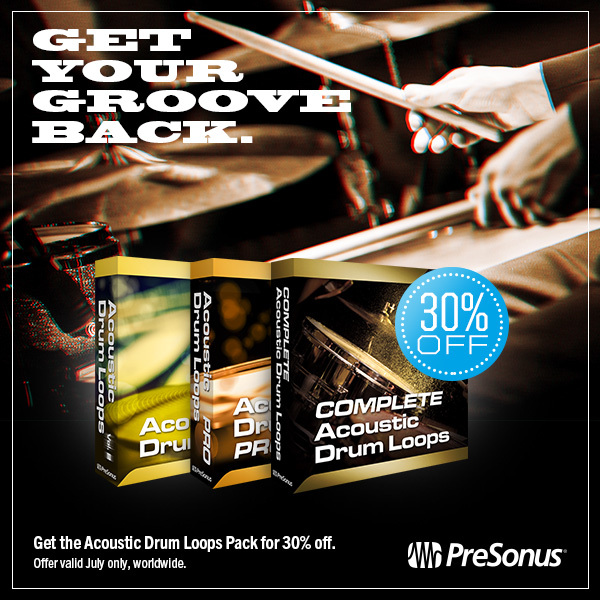 So you wanna get your groove back… Let us help you with 30% off the Acoustic Drum Loops Pack now available for the month of July right out of the PreSonus shop! This offer is available worldwide for the month of July only! Click here to head to the PreSonus Shop! Posted in Promo / Discount | Comments Off on Acoustic Drum Loops Pack for 30% Off in July 2017!